These dangling chain earrings made their debut on the Chanel Spring 2011 runway, retail price is unknown. 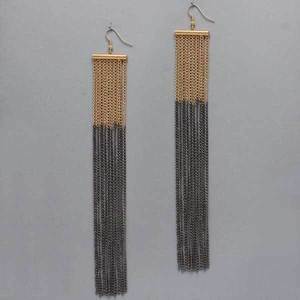 If you've been searching for a similar pair, look no further because the online store Rich and Rebellious has a very similar earring for a budget friendly $17. Click here if you're interested in purchasing. These are fab, what an awesome find!